The birds do it, the bees do it, and spruce trees do it too. 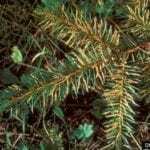 Spruce tree propagation refers to the different ways that spruce trees reproduce. How to propagate a spruce tree? 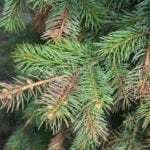 The methods include growing spruce tree seeds and cuttings. 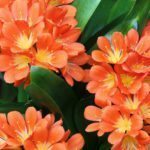 If you are interested in learning about propagation methods for spruce trees, and how to start growing new spruce trees, read on. In the wild, spruce tree propagation involves spruce seeds falling from the parent tree and beginning to grow in the soil. If you want to start growing new spruce trees, planting seeds is a common method of propagation. Other propagation methods for spruce include rooting cuttings. Propagating spruce tree seeds and cuttings both produce viable plants. How to propagate a spruce tree from seeds? The first thing you need to do is to buy the seeds or harvest them at the appropriate time. Harvesting seeds takes more time but less money than purchasing spruce seeds. Collect seeds in mid-fall from a tree in your own yard or in a neighboring location with permission. Spruce seeds grow in cones, and it is these you want to collect. Pick them while they are young and before they are ripe. You’ll need to extract the seeds from the cones. Let the cones dry out until they open and spill out the seeds. Count on this taking about two weeks. You may, but do not need to, treat the seeds in some way to help them to germinate, like scarification. Plant the trees outdoors in late autumn or early spring. The trees will need water and light. Depending on your climate, rain can take care of the need for irrigation. 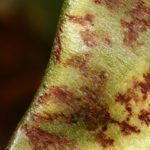 Take cuttings in late summer or early fall. Choose healthy shoots and clip off each about as long as your palm. Recut the base of the cutting at an angle and strip all needles from the lower two-thirds of each one. Plant the cuttings deep into sandy loam. You can dip each cut end in rooting hormone before planting if desired, although it’s not required. Keep the soil moist and watch for roots to form.